If you love Vietnamese hair extensions for its beauty and strength, and you want to be on trend. One of the biggest this season is scarf hairstyles. From messy ponies to sleek buns, they’re a really simple way to incorporate colour into your wardrobe and update simple looks. 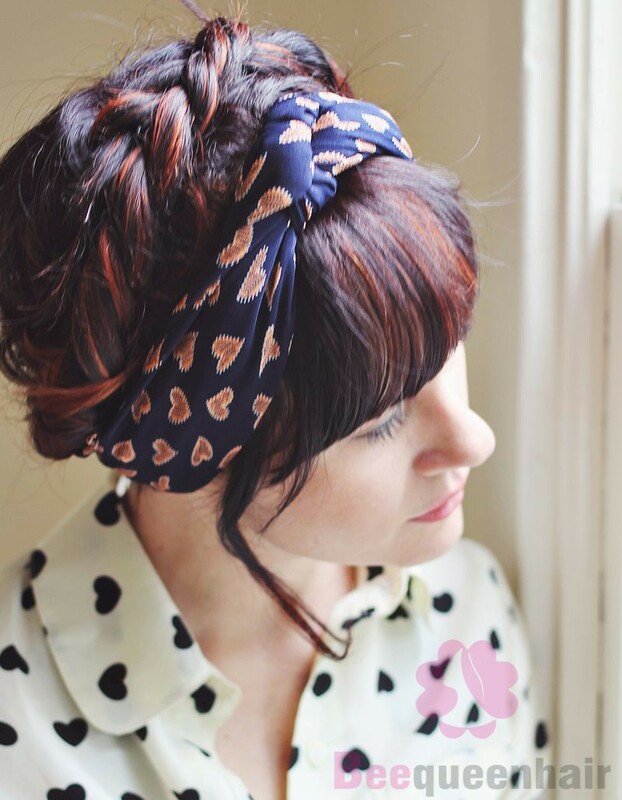 To fuel our new obsession here are scarf hairstyles that are perfect this summer. It would look greater when you use Vietnamese hair extensions to apply these ideas. If you are using Vietnamese hair extensions, start by spraying your hair with heat protectant and then use your straighteners to create some soft waves. To do this alternate the straighteners towards you and then away from you as you work down your hair. Once you’re done use some serum to tame the waves and sweep it back into a pony using an elastic. 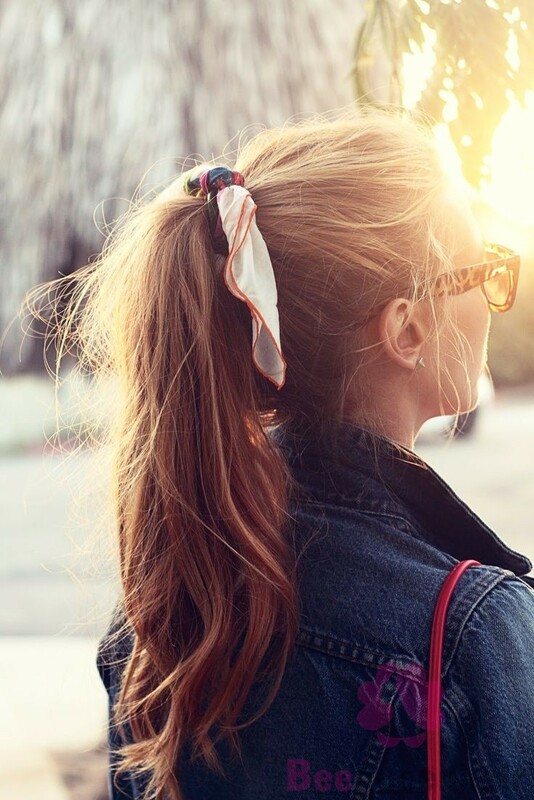 You can then take your scarf and tie it in a knot around the pony, super simple. This look is so cute and really low maintenance which is just want you want for a day at the beach. To start brush through your Vietnamese hair and pull it back into a low bun using a hair elastic. You can leave out some face framing pieces if you want to and make it as messy or neat as you like. 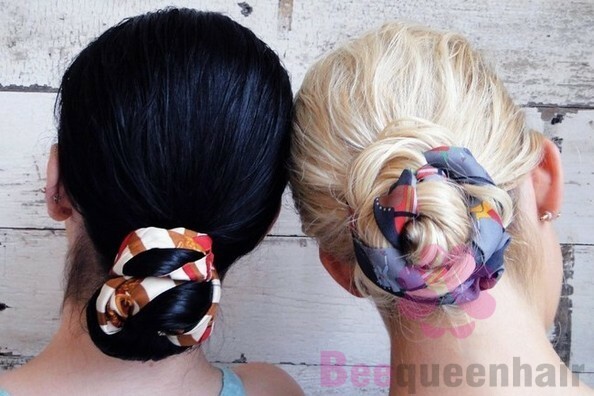 Then take your scarf, preferably a smaller one and tie it in a bow around your bun making sure it’s sat on top. This is such a worthy style and an amazing hack for thickening up your braids too. Start the look by pinning your scarf at the nape of your neck and then section your Vietnamese hair into two pieces alongside it. You can then braid your hair with the scarf, making sure to keep the sections as equal as possible. Once you reach the end use a hair elastic to hold everything in place and pinch and pull on the braid to make it look thicker. This is such a chic way to wear your scarf and perfect if you want to leave your hair down and rock some beachy waves. For this look start by wrapping it around from the nape of your neck up to the top of your head. Next tie two knots, one on top of each other and then loop the ends back around and tie them at the nape of your neck. To finish the look use some salt spray to add texture to your hair and a few bobby pins to hold the scarf in place. Have you got any ideas for your hair to be ready for the wedding season yet? Extensions with Vietnamese human hair can provide the convenience for you to change your look anytime. Also, it can fix all the troubles you get into with your natural hair temporarily. BeeQueenhair extensions brands which have the sources of Vietnam human hair, are used and suggested by a large number of users. Our high-quality Vietnamese hair products can help for people to get the best effects from applying those shiny, gorgeous and beautiful hair extensions for enhancing and transforming their hair look. What are some of the most common bad habits that make hair damaged?